Ink on Paper: What would you do if you weren't afraid? I would wholeheartedly give more of myself to people around me. Without inhibitions. Without worrying if my affection is really welcome. Without doubts about them thinking that I am invading their space. Most importantly, without the fear that they would start taking me for granted and invade my life. I happen to be a qualified and certified introvert. I usually maintain a respectful distance from most people other than my close family and friends. I am a huge supporter of these qualities too. If you are an introvert by nature, you have every right to be. Having often been put off by people who invade too much into others' business, I have become weary of doing it even to a permissible level. Barring the close family and friends circle that I mentioned, I am very guarded in showing my affection to people outside the periphery. I am afraid it would turn out to be inappropriate or unwelcome. Many times, I can see that it is welcome, but I still hold back. I am afraid that things would go out of my control once I reciprocate beyond the demands of propriety and that I would end up having to hurt their feelings while I take the effort to hold the reins of the relationship. Or even worse, if I would end up crossing what they think is the permissible limit.So my logic is, why risk it at all? But I do not know if it is entirely right. One of my managers in a workplace where I had spent a considerable amount of time told me at the time of my leaving the company - 'Even if you do not want to be friends with someone, do not ignore them, it hurts'. If I was ever in doubt, I needed no further proof to the fact that I am very stingy with my love and affection even where it is welcome. For the sake of the majority of cases where it would be appreciated (all of us appreciate genuine affection after all! ), I should be able to handle the minority where things may go a little awry.But then, here I am doing the exact opposite! If I am ever able to conquer this fear and show more of well deserved love and affection to people around me, I would have taken a huge step forward in life and I would be a much better person than I am now! I'm guarded too, Aarthy but with a little nudge and some steps forward by the other party I'm ready to let go too. Of course it also depends on the compatibility factor with the other person. If we are like-minded then the defenses are lowered very quickly, else it might take a long while or sometimes not at all. Glad to have you on Write Tribe too. I joined it very recently and haven't been too regular. 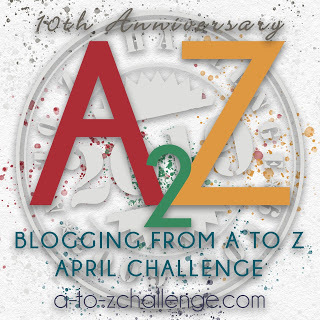 Are you taking up the write tribe pro blogger challenge? Yes the compatibility factor does play a huge role. With like minded people, there is no effort required at all ! So happy to hear that Uma! I really hope you enjoy both. Do let me know how you liked them. And if it is not too late, you could buy the 'Corfu Trilogy' itself. (My Family and Other Animals is the first book of the series). The price is more or less the same. The other two books of the trilogy are either unavailable independently or too expensive. But I have not read the other too .. Going by the first book and the good reviews for the other two, I feel it will be good. Planning to buy the trilogy myself. Nice one, Aarthy. Very honestly written. I on the other hand am doing the opposite as I age - being more guarded, less giving of affection. Also less trusting - but I find that strangely liberating. Thanks Aparna! Then maybe we are right in being guarded. Life is actually a lot easier that way but I feel guilty when I think of the happiness I could be spreading if I let my guard a little down ..
Isnt everyone guarded? We choose people carefully and show ourselves to only them. Rest get what they give to us. That makes me feel better :) Yes, people get what they give. But sometimes, I am afraid to give even that much and keep judging ..
Hi Aarthy, this is the first time I am reading your post. I am very much impressed by your frankness. 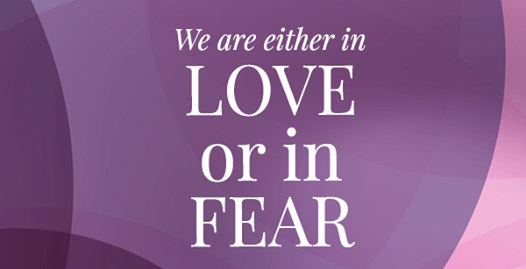 There are many things in life, which we would love to do, but don't, due to our inherent fear complex. Yes, our fears do hold us back in many aspects of life. I do mingle with people but my my feelings I guard them with an iron shield. I can understand your reluctance to protect yourself from others but at times introverts are wrongly labelled being haughty. Do take small baby towards uncloaking your fear. You may be an introvert but have expressed your fears clearly and frankly. nice to know through this post. Honestly people and their emotions tend to make me also afraid. Admitted in my blog! It's my first time on your blog, and I must say - That's quite an honest post. I suppose, regardless of whether we are "certified and qualified" introverts or not, everyone doesn't reveal all of their sides to everyone else. But of course, WE (yes, I'm a certified one too) are probably more "afraid" (can't think of a different word) of people and their emotions - and how to react at times. So it's sometimes better to avoid them completely. Thank you so much! Being afraid of people and their emotions has saved me quite a bit of trouble that I have seen the unguarded ones get into. So I guess we are not completely wrong in being what we are ..
Glad to have you visit my blog :) A warm welcome to you! I agree with your manager, even when we dont open up to people we should not ignore them.. I am a lot like you, I have a certain few with whom I can let myself loose but otherwise I mantain a distance and I don't see anything wrong in that. I have seen people make a mockery of themselves by going overboard.. at the same time some people come across as needy for attention.. There is no need to be afraid but at the same time there is nothing wrong in maintaining a distance as well.. I hope that makes sense.. Same here Seeta. I have also seen a lot of people making a clown out of themselves by going overboard. I have also observed that introverts command a lot more respect than the garrulous ones. But like you said, I have to work on removing the fear or rather the reluctance. Thanks for the comment! It is more about the nature Aarthy. Introverts or extorverts, the point is to be respectable. I tend to do that too but I am glad that somebody pointed it out to you. Ignoring someone certainly hurts so not opening up should not equate with hurting feelings. True Jas. I do end up ignoring people sometimes though unintentionally. It is quite a fine line and I trod more carefully these days. If someone is good to me, I'm good to them. If they hurt me, I give it back to them. I do this so that I forget about it then and there rather than carrying it in my mind.